Terazzo Classy The designs come from natural wood, distinguished by their amazing textures. 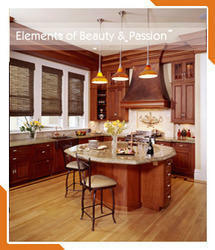 Terazzo Classy remains as exact likenesses of the world's most treasured woods rendered in durable, easy care laminate. All created for the homeowner who wants to make a statement about their lifestyle and attitude.with a floor stand tall above the rest. Leveraging the skills of our qualified team of professionals, we are instrumental in offering a wide range of Terrazzo Floor. - Thickness of 6mm 10mm. - 100% solids formula V.O.C compliant. - Custom colours & custom designs : Unmatched. - Excellent chemical resistance and the lowest maintenance cost of any hard surface flooring. For architects and builders seeking products that will minimize environmental impact, thin-set epoxy terrazzo has proven to be a dream material. General Terrazzo Floors , host of eco-friendly benefits and can help buildings achieve Leadership in Energy and Environmental Design status. More shapes and colors can be available. Yuvraj Building Solutions India Pvt. Ltd. Crystal Terrazzo is a blend of a specially formulated epoxy resin and hardener with multi- coloured glass chips from discarded bottles, mirrors and plate windows. 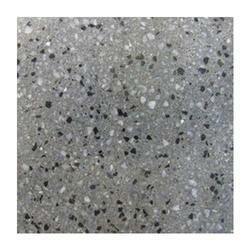 Crystal Terrazzo offers total colour customisation and endless design possibilities. When light hits the surface, each translucent glass piece shimmers. It is inert and offers excellent indoor air quality. Having affluent knowledge and understanding of the realm, we are providing services for Designer Seamless Terrazzo Flooring services. Due to our devotion, efficiency and specialization towards the quality, these services are enormously valued by our respected clients. Apart from this, these services are executed by nimble personnel as per the patrons’ requisites and demands. Green Heart Floors Pvt. Ltd.